Strikes were a huge part of the motor industry, arguably the leading factor into its downfall. If there was a dispute at BMC, for instance, the unions would bring in all the other manufacturers so the ‘Big Six’ would all be effected. Strikes effected production, damaged the car brands and workers wages were lost due to lost days. 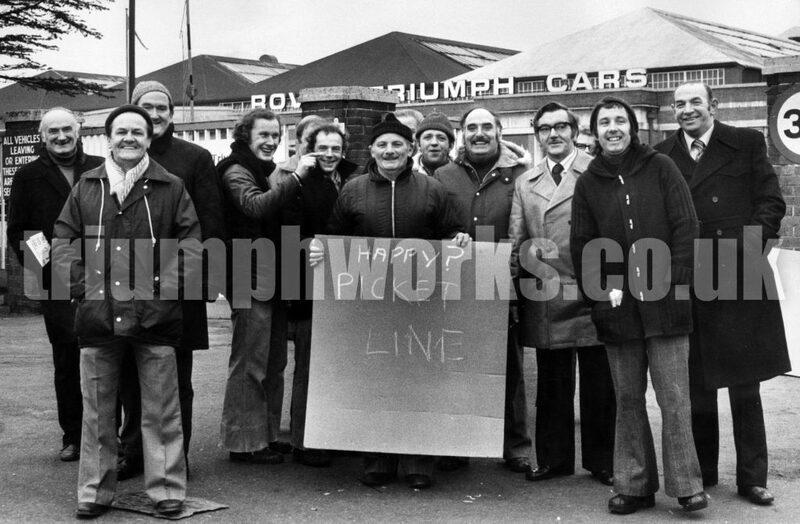 Nationally, Union membership peaked at 13.2m in 1979, when over half of all UK workers were members of a trade union. It has been calculated 29.47million days were lost in 1979 during the “winter of discontent” compared to 157,400 days in 2005. Standard Triumph was closed shop with all workers (except the telephone exchange) having to be part of a union in order to get a job at all. The leading shop steward at Standard Triumph was Eddie McGarry – we’ll feature him soon! Next PostNext Standard or Triumph?